A story of grim comedy amid the apocalypse and a celebration of the sheer indestructibility of the human spirit in a nation run riot: Michela Wrong's vision of Congo/Zaire during the Mobutu years is incisive, ironic and revelatory. 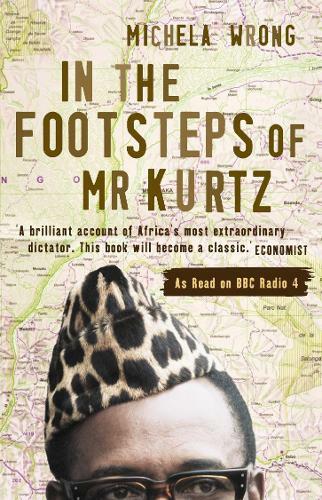 Mr Kurtz, the colonial white master, brought evil to the remote upper reaches of the Congo River. A century after Conrad's `Heart of Darkness' was first published, Michela Wrong revisits the Congo during the turbulent era of Mobutu Sese Seko. From the heart of Africa comes grotesque confusion: pink-lipsticked rebel soldiers mingle with track-suited secret policemen in hotels where fin de siecle dinner parties are ploughing through vintage wines rather than leave them to the new regime. Congo, the African country richest in natural resources, has institutionalised kleptomania. Everyone is on the take. Someone has even swiped one of the uranium rods from the country's only nuclear reactor. Having presided over unprecedented looting of the country's wealth, Mobutu, like Kurtz, retreated deep within the jungle to his palace of marble floors and gold taps. A hundred years on and nothing has changed.